Arthur C. Clark once said that “any sufficiently advanced technology is indistinguishable from magic.” 3D printing, seeing massive growth in only five years, is akin to what those seeing the very first computer must have felt, pure magic – and let’s face it, a little daunting. To assist those looking to improve their craft and help me better understand where the industry is going, I asked leading experts about the industry: where are we now, where do we want to be, and how can we get there? Below are some of the most significant insights from the experts. Brian Jepson, the publisher of Make Media, had an interesting take on the question, relating it to food. “There’s another way to ask this question, and it’s ‘when will I see a 3D printer in every home?’ I think the answer is as soon as there’s a sub-$500 printer that makes stuff I can put in my mouth. At some point, I’m going to be overflowing with trinkets that I print on my four working printers. Wouldn’t it be so much better if I could eat those trinkets and make them disappear that way?” I’m hungry for cake now! A recent survey found that only 4% of the survey respondents were women and, perhaps more surprising, that millennials are the least engaged age group in 3D printing, followed closely by baby boomers – at 10% and 15%, respectively. What can the industry do to attract more women and millennials? 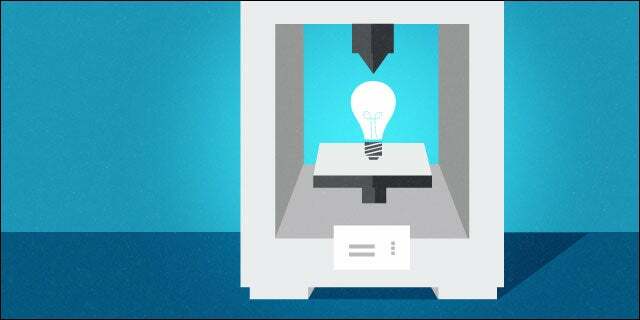 Dave Evans put it this way: “3D printing does something very few other technologies do – it combines art and science. What a great way to get key women (and men) involved now regardless of background.” We couldn’t agree more! Braydon Moreno is the CEO and co-founder of ROBO 3D. He is extremely detail-oriented and design savvy, as well as a bona fide technology visionary. He has worked for startups in mass manufacturing products overseas and has owned several successful companies giving him an ideal foundation to drive ROBO 3D to unparalleled heights.